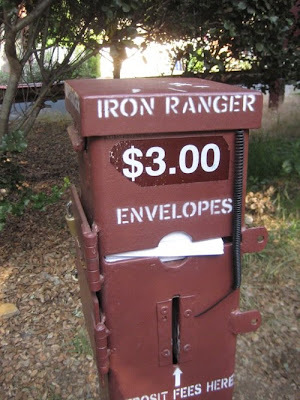 Here's a cushy job -- being an Iron Ranger. You take money from people all day long, and silently laugh as criminals break into the cars parked the Studio City, Calif. hiking trail parking lot you are assigned to patrol. Could the Iron Ranger be the reincarnation of Silent Tristero?